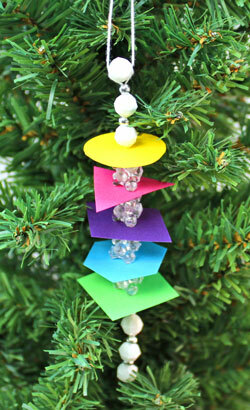 This geometric icicle ornament uses a few scraps of paper, some beads and a piece of yarn to become a fun and colorful addition to the holiday decorations. 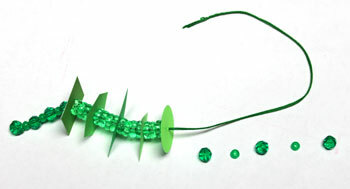 This example used five different and bright colors along with white, silver and clear beads. 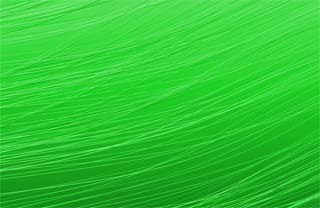 Take a look at the simple materials and tools shown here. Print the Geometric Icicle Ornament pattern either on regular paper to use as a pattern or on colorful card stock to cut out the geometric shapes. 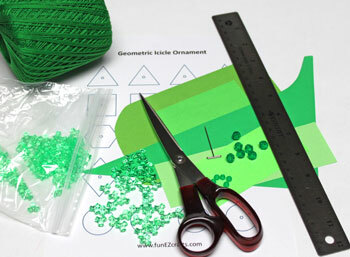 Choose the color or colors and the order for the shapes to be added to the ornament. 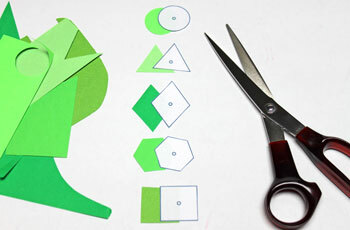 Cut one of each of the shapes. I chose different shades of green with the order starting from the top: circle, triangle, diamond, hexagon and square. Make a small hole in the center of the geometric shapes for the yarn to pass through. Rotate the tool several times to make the hole just big enough for the yarn. Make the center holes in each of the geometric shapes. Cut a length of yarn 24 inches long. You can also use all-purpose thread. Cut a length twice as long and use a double strand. Push the yarn through the first of the larger beads. Pull the bead to the center of the yarn. Push both ends of the yarn through one of the smaller beads. 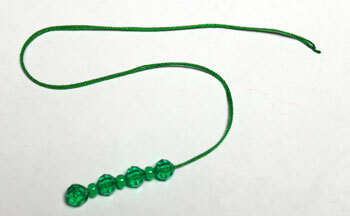 Add the remaining bottom beads alternating between large and small beads. There should be four large and three small beads on the bottom. Push the yarn through the bottom geometric shape. 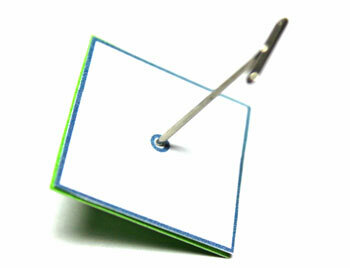 Add four tri-corner beads above the bottom geometric shape. Continue adding the geometric shapes alternated with four tri-corner beads between each shape. 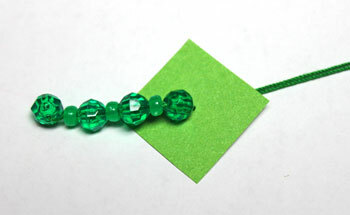 Add the top beads with a large one first then a small bead. Add the last large bead by pushing each end of the yarn in opposite directions through the hole in the bead. 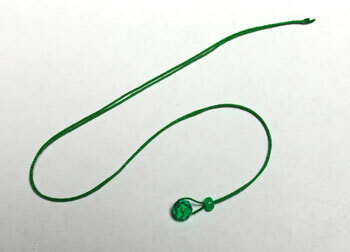 Make the hanging loop by tying a knot in the yarn. 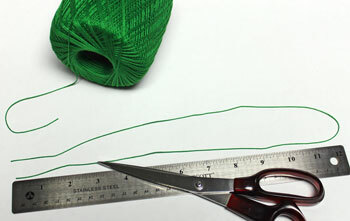 Trim off any excess yarn. The geometric icicle ornament is finished and ready to display. 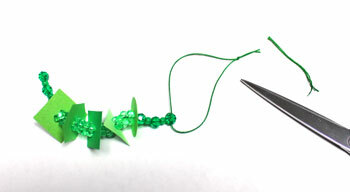 Scraps of paper, beads and yarn turn into an interesting and colorful addition to the holiday decorations. 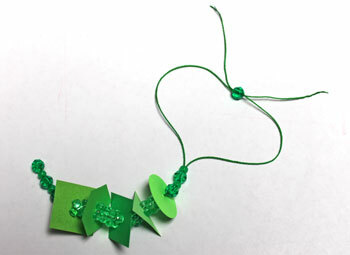 The alternating geometric designs and colorful beads would make a pretty garland as well. 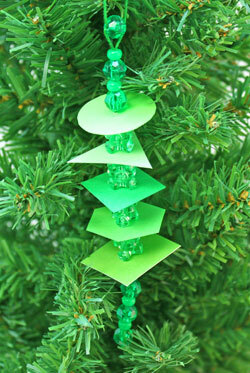 The Geometric Icicle Ornament is fast, fun and easy and is a great group project to make lots of inexpensive ornaments quickly.